If you are using Lightweight desktops like LXDE or XFCE, then you can’t find the way to browse the network shares through their native file mangers. Some file mangers like Nautilus have the built-in feature for mounting the remote shares in the file manager itself. 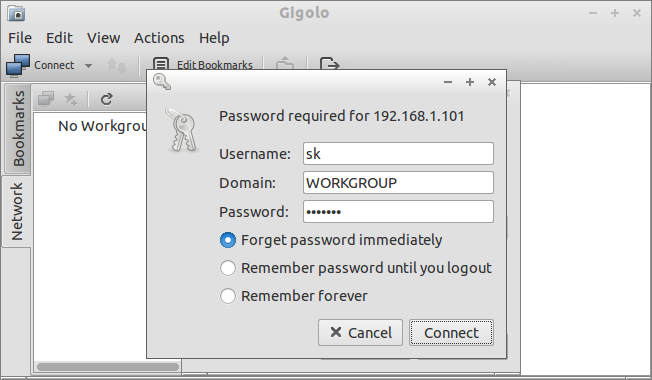 So if you want to access the remote shares in lightweight distributions like Lubuntu/Xubuntu, then you may need a tool called Gigolo. 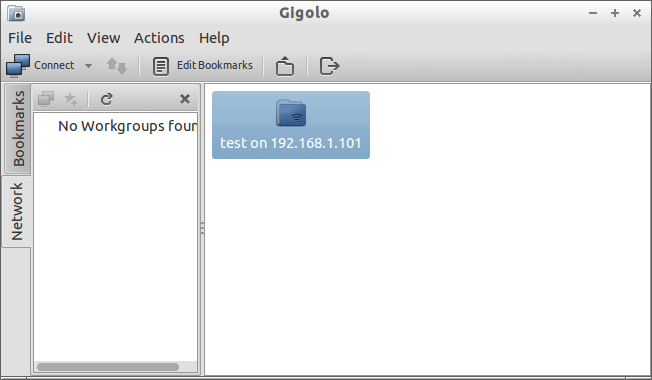 Gigolo is a front-end to easily manage connections to local and remote filesystems using GIO/GVfs. 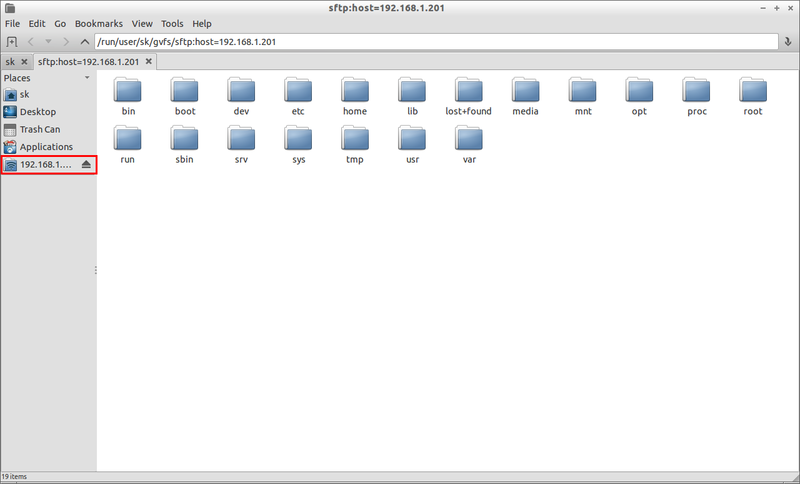 It allows you to quickly connect/mount a remote filesystem and manage bookmarks of such. It provides almost transparent access to remote resources like FTP or SFTP (SSH) connections, SMB (Windows OS shares) or special resources like the Trash (trash://), Burn (burn://) or even accessing your digital photo camera (gphoto2://). Launch Gigolo from your menu. Usually it will found under Menu -> System Tools -> Gigolo. It will look like below. Click View button in the menu bar. And check the box called Side Panel. So that you can easily view and manage bookmarks from the side panel. 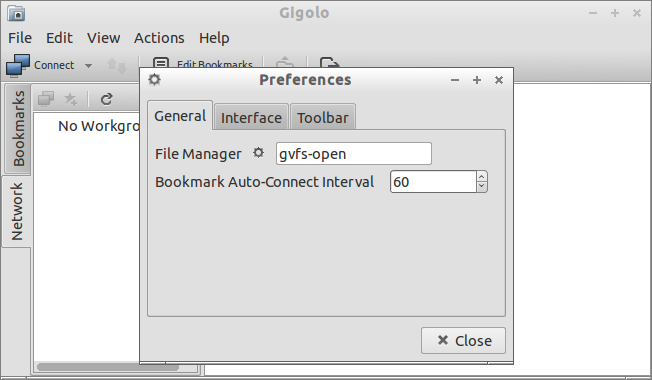 Goto Edit -> Preferences and make sure that you have gvfs-open in your file manager and 60 seconds inAuto-connect Interval. 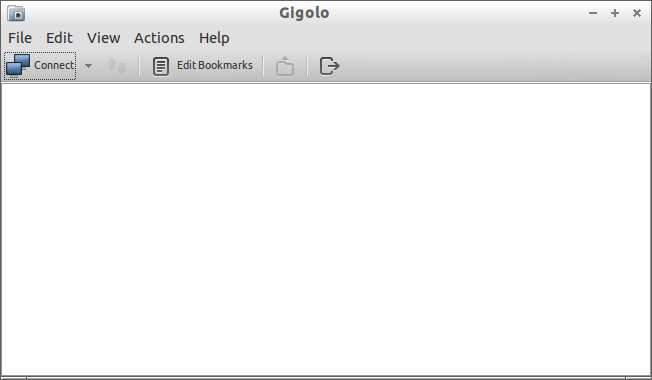 Once opened, Gigolo will automatically be placed on your quick launch bar as shown below. 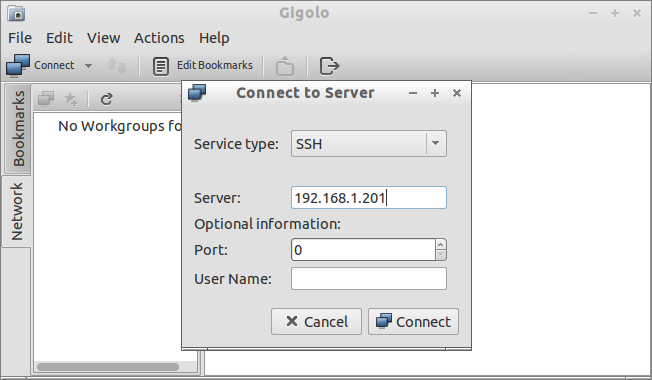 In this example, I am going to connect my Fedora 19 desktop system via SSH using Gigolo. Here is how I did it. Open Gigolo. Click on Connect button. Select SSH from the Service Type drop-down box. Enter the IP address of your remote systems and click on Connect. Note: You should install the openssh (both server and client) packages in your remote systems. The remote system should be accessed via SSH from the terminal. 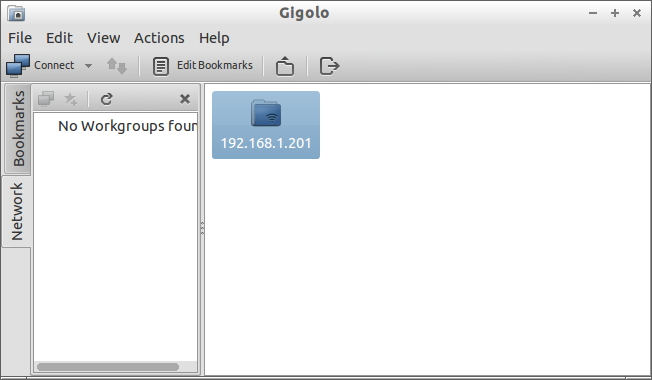 Then only you can access the remote system shares through Gigolo. Enter username and password of the remote system and click Connect. 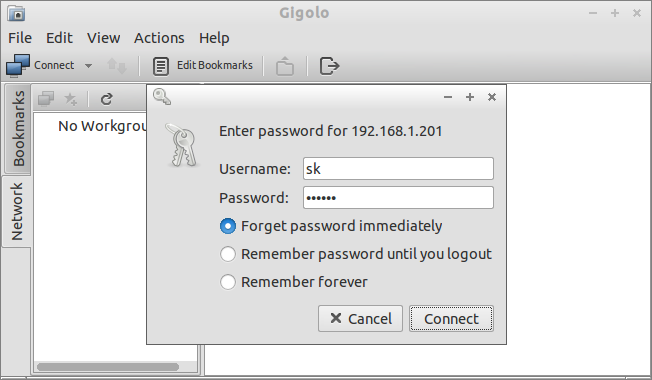 Now your remote system is connected with Gigolo. Right-click on the remote system and click Open. Go to your file manager and you will see that the remote is mounted in your file manager. Click on the remote share and navigate through your remote file system. You don’t have install and configure Samba packages. 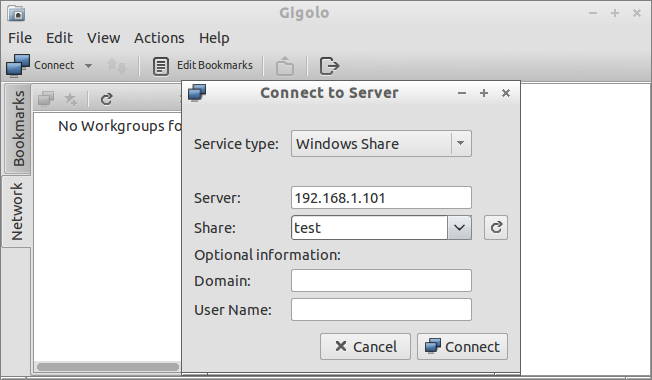 You can easily access Windows OS shares with Gigolo. First, share any folder in your Windows OS. For instance, in my Windows 7 system I shared a folder called test in D drive. Open Gigolo and click on Connect button. Select Windows Share from the Service Type drop-down box. Enter the IP address of Windows OS. Click on the Reload icon next to the Share button. Enter the username and password of Windows OS and click Connect. Now the Windows OS shares should appear in Share drop-down box. Select the Share you want to mount and click Connect. In my example its test folder. Again, it will ask the username and password of Windows OS. Enter them and click Connect. Now you will access your Windows OS share. Right-click on the Windows OS share and click Open. It will be automatically mounted in your default file manager. Gigolo allows us to create a bookmark for the remote shares. Just right-click on the remote share and click Create Bookmark. You don’t have to follow the procedures each time to open the shares as described above. To access, double-click theBookmark and you’ll able to connect to your remote share. 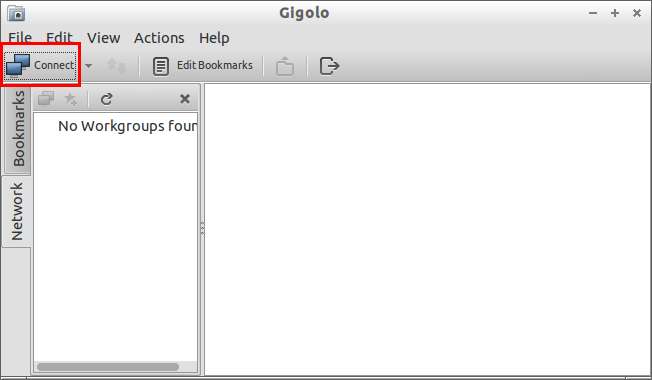 Gigolo seems very pretty easy to install and configure. You don’t be a geek to access the remote systems shares. The Gigolo will ease your work in just a few minutes. 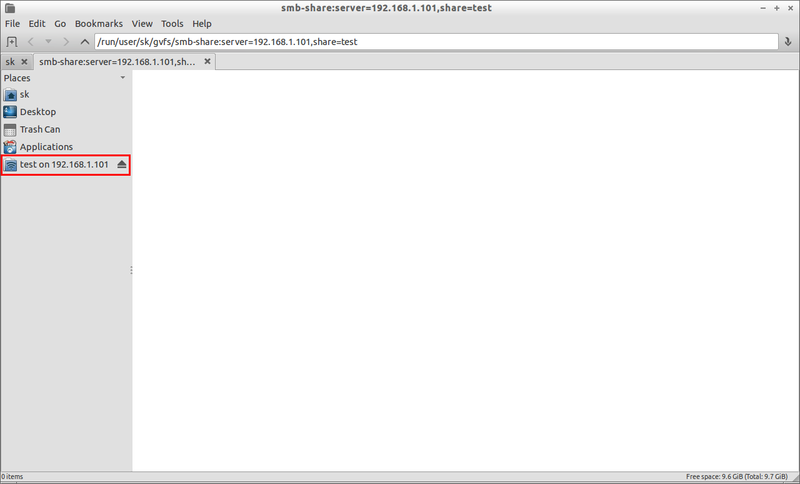 In my personal opinion, it is quite easy to use often for newbies to access remote shares instead configuring NFS and Samba.